Data losses have included important company documents; financial records, employee emails, social security numbers and other confidential information. Failed backups have affected customer relations, business operations and brand reputation — ultimately leading to revenue losses. Conducting daily backups of critical business files is one of the more obvious solutions to this problem but over 50% of organizations don’t even conduct daily backups. So Why Do 50% of IT Admins Avoid Daily Backups? Over 30% of IT administrators say daily backups are an inefficient use of their time. 23% believe daily backups are unnecessary due to the low volume of new data each day. 10% don’t conduct daily backups because they have too much data. Others lack the resources, efficient technology or sufficient storage space to conduct daily backups. Some – including 75% of IT admins at organizations with 50-99 employees – say daily backups are actually disruptive to workplace productivity. The #1 gripe of IT administrators when it comes to backups is speed. 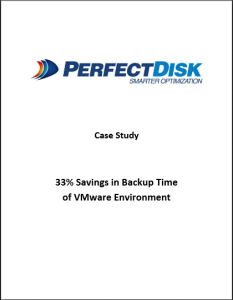 50% of IT admins wish backups were faster and more efficient. 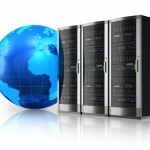 Other concerns include cost, security and reliability of backup solutions. Some IT admins would prefer their organization’s backups were managed by a third party. IT administrators must regularly test backup solutions to ensure their effectiveness in order to avoid data loss during backups. The problem is over 30% of admins don’t conduct these tests. Daily backups need to be a fast, cost-effective, efficient process that doesn’t impede on workplace productivity. Whether you are using physical or virtual servers (or both), file fragmentation and free space fragmentation can each have a major impact on backup times. Keeping files and free space contiguous on physical and/or virtual servers – as well as on the target disks in your backup system – can make a huge difference in backup times and workplace efficiency. PACK & SEND International started having major problems with a file server supporting users throughout the company. The problems with this file server, running Windows Server 2003, were related to low free space and paged memory errors. Lack of free space was a concern but the answer wasn’t as simple as merely adding additional storage — backups were already consuming too much time, taking over 12 hours to complete. 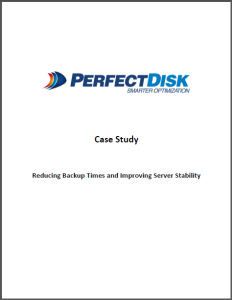 Adding more storage would increase backup time, resulting in backups running during business hours, which was highly undesirable due to their impact on performance and user productivity. The Town of Castle Rock, Colorado’s IT team has a mandate to do weekly full system backups of its 7+ terabytes of data. Backups were taking over 72 hours to complete, with a negative impact on system performance and user response time. Despite all the team’s efforts, backups that were starting at 5pm on Friday were still completing on Monday or Tuesday. With backup times this long, there was no margin for error in the backup process; the IT staff could not afford restarts. Furthermore, as data volume increased, the problem was only going to get worse.